The best soccer players in the world can compete with their teams in this world league championship. Choose your forward and start scoring goals to reach the final. The best free kicks with effect and spectacular penalties. Front against goalkeeper. The best World Soccer League game. 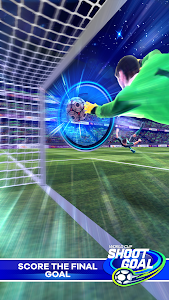 You will have situations of shoot free kicks and penalties , in which you have to score the decisive goal will decide if your team is the champion of the soccer tournament. 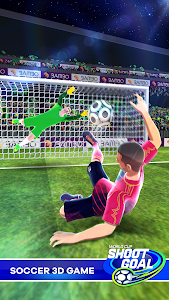 Be the soccer hero and win the cup, the public will cheer you up if you play soccer well and score lot of goals. Start now to play this soccer game and show that nobody plays like you. 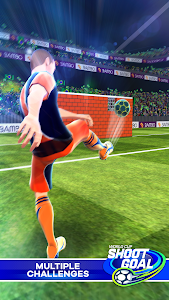 * More than 150 levels, in which you will have to prove that you are the best soccer hero. 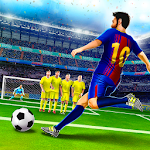 * Get the soccer achievements, score goals and get to the top. * Control the ball with the most impressive effects, the ball will make the trajectory that your finger makes. If you like soccer games, this is your game! - Now you can collect money from missions. - Play every Championship until the end. - Now it´s impossible to lose the money earned in every level. Similar to "Shoot Goal: World Leagues Soccer Game"